2.Click on the settings option on the top menu. 3. 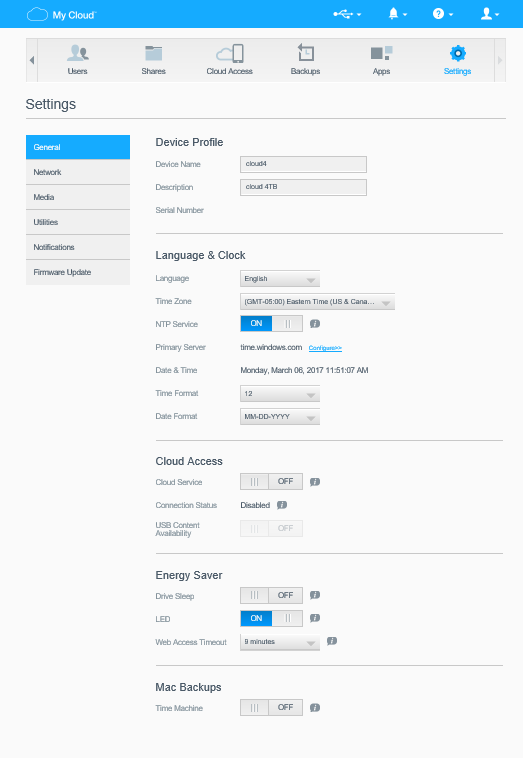 Scroll the page to Cloud Access and verify it is set to off (or turn off if it is on). While you are on this page, check the Firmware Update tab on the left and make sure you are on the latest firmware. Upgrade if needed. Sort of. Thanks to Splashtop streamer and the iPad mobile client. I was a little frustrated as all my existing RDP clients on my iPad (Logmein, VNC RDP, etc. would only show me a black desktop). I ask the Splashtop folks via Twitter if their product ($4.99 in the app store, at least for now) would work with Windows 8 and received a “yes”. 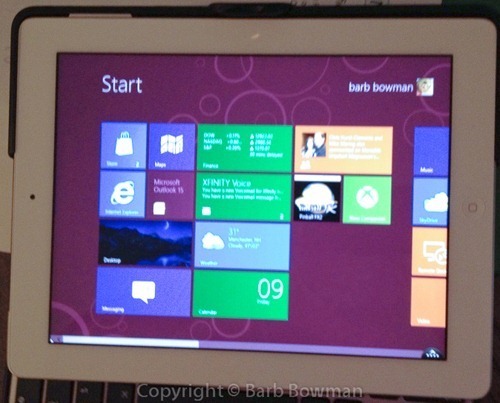 So, now I am up and running with Windows 8 on an iPad. Still experimenting, but at least I can see the Metro desktop and navigate. In Part 3, I wrote about setting up dynamic DNS and port forwarding for my cameras and desktop controller as well as authentication for all exposed web servers. Once this is set up properly, camera output can be viewed in real time, any time I want to check in on what’s happening chez moi. 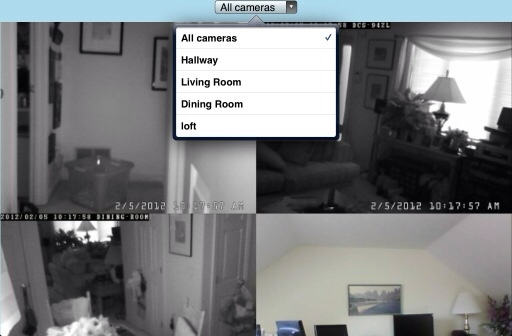 If I were to get a motion detection email alert, I could immediately recheck camera output from all my cameras. I can select an individual camera from the drop down menu or just tap a camera to see a larger view. I added a bookmark for the Blue Iris web server and also added it to my iPad and iPhone Home Screens for easy and fast access. If you are serious about DIY Home Security/Surveillance, you will need to configure multiple cameras on multiple ports, set up dynamic DNS (if you don’t have his setup already) and forward ports on your router. On your router, you should set up DNS reservations for your cameras, and if using a desktop software controller, a reservation for that computer and port forwarding for the port you are using for the desktop controller software web server. You can get free dynamic DNS from the folks at dyndns.com and if you have a decent router, there should be a place to enter your dyndns host name and password and the router will do the work of ensuring that if your Internet DHCP IP changes, updates are made seamlessly. D-Link actually offers a private branded dynamic DNS set up service from inside their admin interface. It should be ok to use this (last time I checked they were using the services of dyndns.com). Is that router you want for the holidays ready for IPv6? Some of you might be saying, “huh?” and wondering what I’m talking about. If you are a geek, you probably know that the IPv4 universe of addresses is shrinking and latest estimates are that the IPcalypse will occur in about 3 months. You can follow this on Facebook. What does this mean? At some point in time, a new web site you want to visit or new web service you want to use may not have an assigned IPv4 address and be reachable over IPv6 only. Is your ISP working towards insuring that you can connect to these sites? Mine sure is. Comcast has been working on this for a long time. Of the available technologies, 6 to 4 and native dual stack seem to me to be the most robust. But the catch is that in your home, you need equipment that has implemented one of these technologies, starting with the router at the edge of your network. I look around and I see a sorry state of affairs for the home user, where there are so few capable devices (let alone firmware upgrades for top of the line dual band wireless routers) that it would appear that the router vendors are planning on forcing consumers to buy entirely new products, most likely to be announced at CES2011. Apple’s Dual Band N Airport Extreme seems the farthest along in out of the box features with firmware 7.5.1,and it is a great performer, provided you are willing to forego things like MAC address cloning, and can limit yourself to 50 clients and not being able to manage via a web browser. D-Link’s flagship DIR-855 has no apparent support for configuring IPv6 features (although their DIR-825 B2 hardware is rumored to have some IPv6 support, but I’ve ordered and returned 4 of them, having received the initial hardware version each time). Of all the top of the line routers, IMO, the DIR-855 has the best and largest set of features and options, and I’m disappointed at the lack of IPv6 features, to say the least. Netgear’s flagship WNDR3700 (I believe it has recently been rebadged with a new product number) also shows no sign of IPv6 support. Linksys’s E3000 (rebadged WRT610N) also shows no signs of official IPv6 support (and it is the worst performer of the bunch). So, yes, there is open source firmware for some router lines, but the typical home user shouldn’t have to deal with a geeky upgrade and the quirks. My advice if you are in the market for a new router? Don’t be pulled in by those door buster holiday specials.. You are going to need to purchase a new router in the next 18 months or so unless the vendors ante up and do the right thing.